Fancy Fine: fancy fine vintage sale! 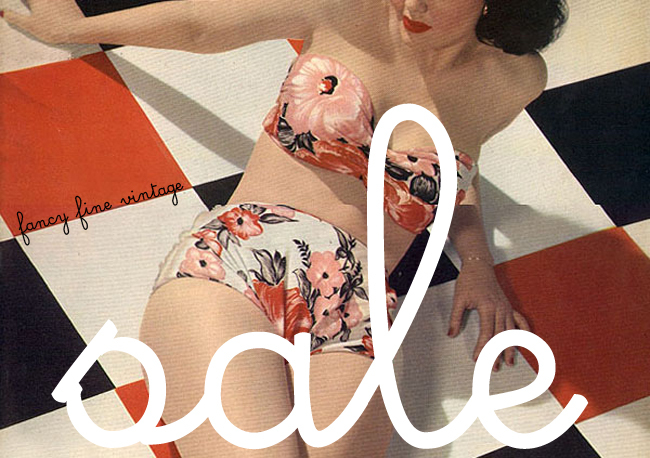 It's summer, it's beautiful outside, and Fancy Fine Vintage is having a sale to celebrate! Take 25% off anything in the shop today through July 4th using the code FANCYSUMMER. There are so many pretty things in there right now, treat yourself! Yay! I'm so on my way right now!